Helping individuals with Autism. A Charitable Non-Profit 501(c)(3) Organization. Donate to help a child. A Thank You to a Special Man on Father’s Day…..My Husband, My Children’s Father. The foundation is excited to provide support and help build friendships around us by providing social events, opportunities and the Wicked AUsome Pal program to enrich the lives of those with Autism and their families. Copyright © 2018 · All Rights Reserved· All Wrongs Reserved. 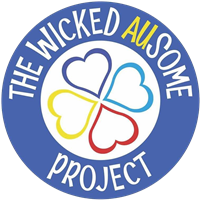 The Wicked AUsome Project.